From YouTube App, we can save videos in offline mode, but sometimes it is not enough for us. All the videos which are saved in offline mode can listen while you don’t have internet. Sometimes, we want to download our own videos for editing or doing something else. And this thing can’t happen on YouTube. So, in this type of cases, you can use some other app from which you can download videos. You can use many apps to download videos from YouTube or many other popular video sharing websites. Here we have listed the best Video Downloader Apps for Android. 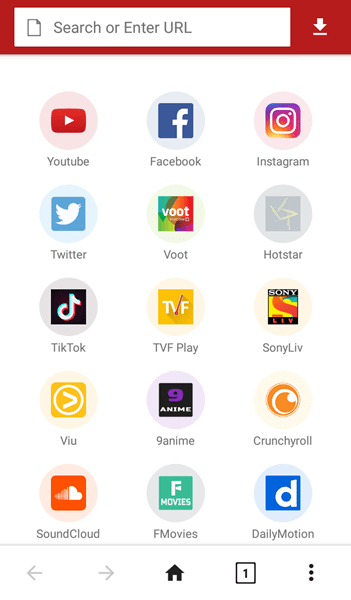 All these apps can be used to download videos from any popular website like Facebook, Twitter, Instagram, and much more. Most of them know that By Default, Android blocks the installation of apps which are not from Google Play Store. So, before you use these apps you must enable the app installation from other sources. For that, you need to Go To Settings then Security. There click on “Unknown Sources” and then click OK.
How to download Videos from Videoder? 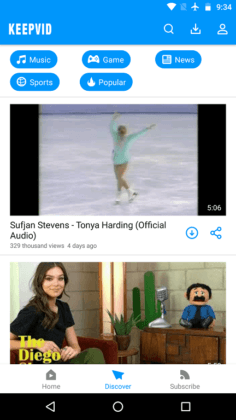 Videoder is a popular video downloading apps for Android. This app allows you to download videos from more than 20 websites like Facebook, YouTube, Twitter, Instagram, etc. While talking about YouTube, you can stream the videos and also download them in all formats and quality also. This app has the best User-Interface (UI). 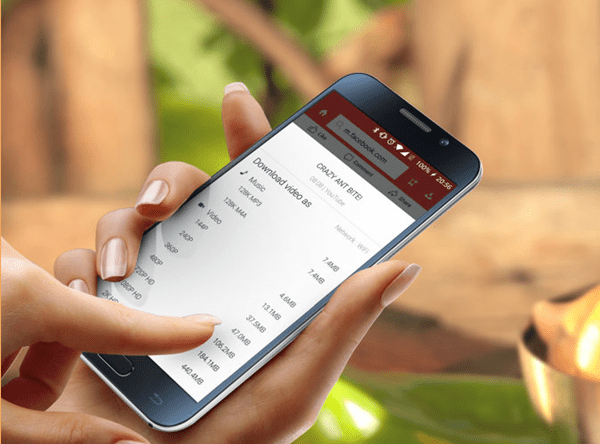 You won’t face any problem in this app as everything looks clean and manageable. With the help of this app, you can not only download videos but can also download or stream music from SoundCloud, YouTube, VK for free. Music will be downloaded in Mp3 and M4a formats with this app. The Videoder app comes with lots of great features and options including fast downloading, beautiful themes, and a night mode. Download the Videoder app from its official website or can download it from the given link. First, download the app from the given link. You can also share the video from YouTube to Videoder and download the video after link will come. Snaptube is a trustworthy app. The User-Interface is great and is organized by popular sites, popular videos and categories. You can do a YouTube search directly from its search bar. This app acts as a fast Android YouTube downloader, and you can choose the quality of the video while you download. With this app, you can share the downloaded videos on Facebook, Twitter, Instagram, and much more. The videos which you download are saved automatically on your device storage, and you can view the files into music and video categories. First, download the Snaptube app from the given link. That’s it! Your video is downloading. You can also download the Snaptube app from its official site. It is free but has ads. You can also download the video from the given link. Tubemate is the oldest and best video downloading App for Android. The User Interface is friendly and simple. You can easily download videos from any video sharing website. This app comes with a built-in browser where you can open any website from where you want to download videos. Tubemare also offers you to choose the format and the quality of the video. It creates multiple connections up to 4 to download the video which makes the process fast. 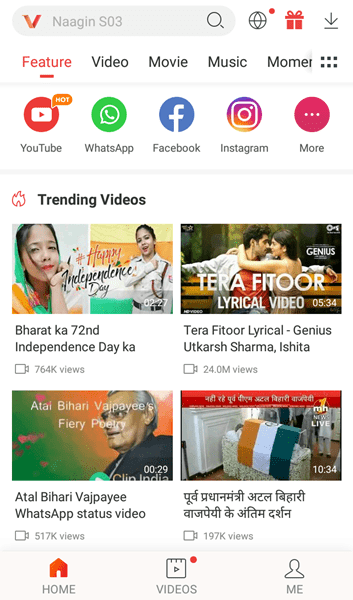 You will also get the option to download YouTube videos in Mp3 format, but it asks you to download the additional video to MP3 converter from Play Store. First of all download the app from the given link. The app will ask you to choose the quality of the video. Like the other apps, you can also share the video from YouTube app to Tubemate. VidMate is also the best video downloader app for Android. It has so many great features, there is a feature where users can create an encrypted space to hide the videos. This app is considered as an easy to use and a very powerful Android tool to download any video. It has a different format like HD format and other low-quality settings are also available. This app is compatible with most of the video and audio sharing sites. You download more than one video at a time. Search for the video which you want to download. Choose the quality and click on Download option. YT3 is a simple Android YouTube Downloader. With this app, you can download YouTube videos in Mp3 and Mp4 format. It has a user-friendly interface which is very easy to operate. There is a preview button which allows you to listen to a song before you download. Whatever you download will be saved in the Download folder and it allows faster downloading speed. Additionally, it also shows the lyrics as you listen to music. You can also download in low or high quality. This app only downloads music and videos from YouTube. You can also share the video from YouTube app to YT3 to download it. KeepVid is the best video Downloading App for Android. It has gained so much of popularity in past years. There are so many video sharing sites available. This app allows you to download videos and watch them offline. It has so many popular video sharing and music streaming websites. The videos can be downloaded in any quality ranges from 144p to 4K. Without using any third-party app, it allows you to download as MP3 file. KeepVid app can be downloaded for free but ads will come. You can also buy a premium version if you don’t want Ads. It has a website which does a survey to know from which websites people download more videos. 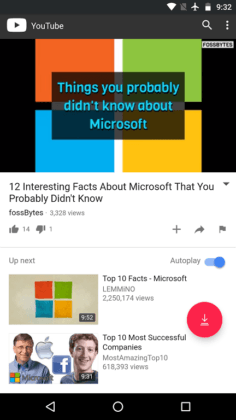 Open the YouTube app in it. Choose the desired quality and your video will start downloading. Some situations come where people want to download videos from popular websites but they don’t know from where to download it. So, we have listed a few best apps from where you can download videos of your choice. All these apps are not available on Google Play Store so don’t search it there. We have provided you the download link also so your work gets easier. If you want to download any video then must use one of these apps. We hope you like this article and is helpful for you. Stay tuned to us for more updates.